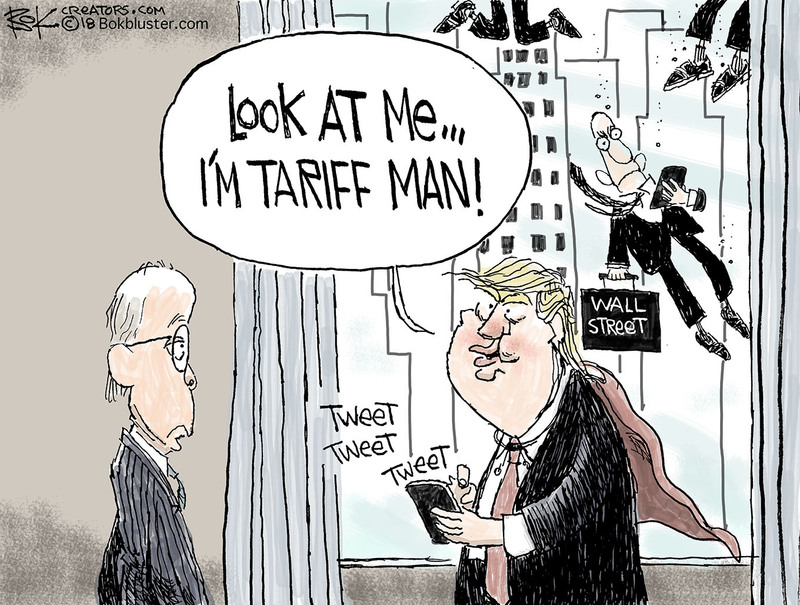 December 5, 2018 China, Donald Trump, Economy, Foreign, stock market, Trade war, Wall St.
Click on Tariff Man to enlarge the image. On Saturday President Trump and Chinese President Xi backed away from the precipice of trade war. And stocks jumped up. 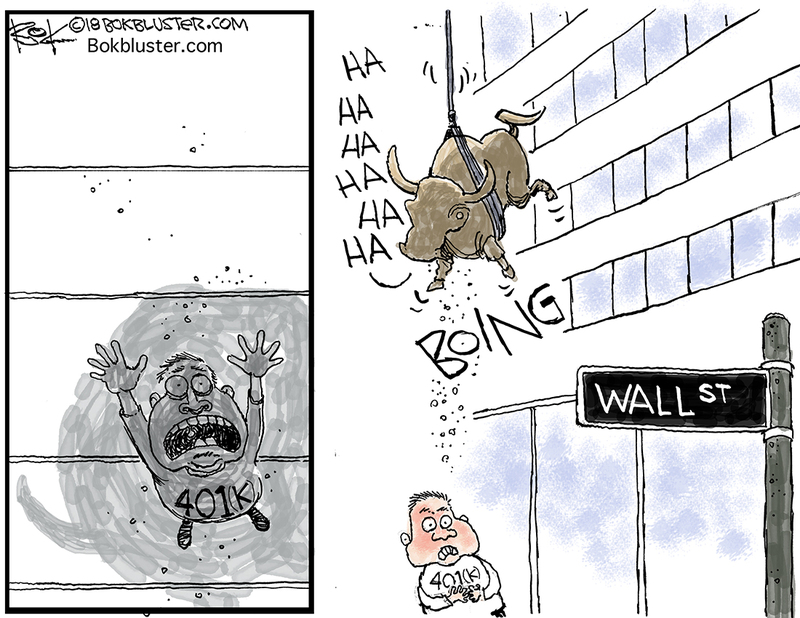 And Wall Street jumped out the window. October 25, 2018 Donald Trump, Economy, stock market, Wall St.
Click on the fed chief to enlarge. 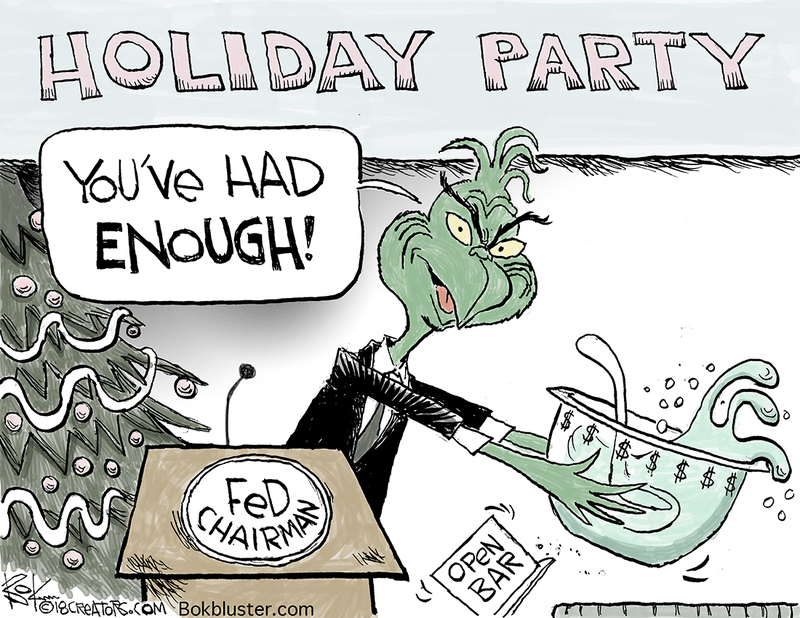 As the economy grows the fed has been raising interest rates. 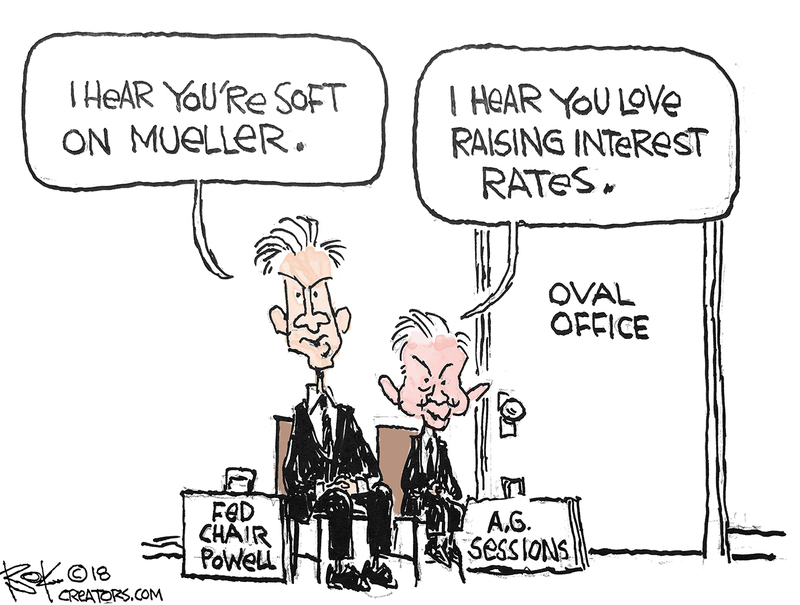 President Trump isn’t pleased and he let Chairman Powell know it. He said “it looks like he’s happy raising rates.” As of Wednesday stocks were negative territory for the year. 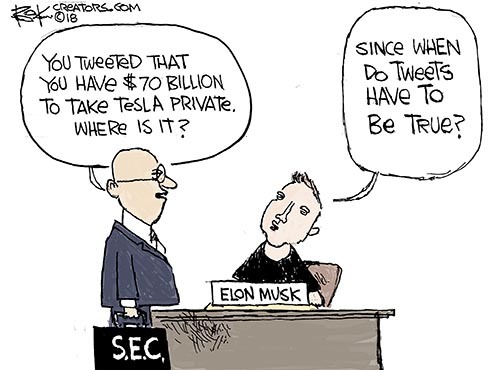 August 10, 2018 Economy, internet, Law, Media, S.E.C., stock market, Wall St.
Elon Musk tweeted that he wants to take Tesla private and has $70 billion in backing to do it. Tesla shares jumped 10% on the news. But now that the S.E.C. is on his case for possible fake news Tesla tweets the stock is back to ground zero.